Melissa Adamson is just a symbol of the Police agenda when they are on duty. 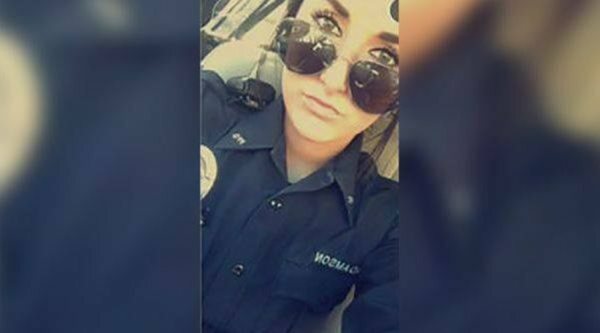 AFRICANGLOBE – A Pennsylvania police officer has been fired after a Snapchat image of her dressed in full uniform and captioned with a racial slur came to the attention of her bosses. Officer Adamson has now been relieved of her duties in McKeesport city following the scandal. She resigned from a similar part-time officer post in Versailles borough on Tuesday, report Pittsburgh’s Action News 4. McKeesport Mayor Michael Cherepko publicly denounced the actions of the “recently hired part-time police officer” in a Facebook post on Tuesday. “This post displays a degree of conduct and character that is far different from what I would expect from an officer in this city,” he said. In an interview with a PittsburghTV station, Adamson denied she was racist. “I love my job. I love what I do. It’s what I want to do for the rest of my life,” she said. Adamson’s former employer Pitcairn Police Department has also weighed in on the matter with a statement posted on social media. “As the picture alone does not constitute misconduct, it is symbolic speech and protected under the first amendment. However, it is the content of the text in the picture which is unacceptable,” it read.